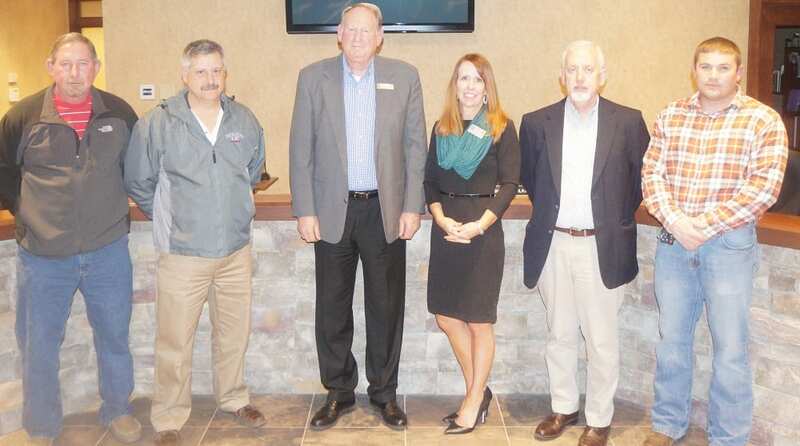 ELLIJAY, Ga. – The Gilmer County Board of Education formally accepted their 2018 Millage Rate this week with unanimous approval from the present board members. The final vote came 4-0, Nick Weaver was absent, on Thursday, August 23, setting the rate at 14.458 mills for the year. After discussing the rate on Monday’s Work Session and over the last month since their July Meeting, where Gilmer County Charter School Superintendent Dr. Shanna Downs informed the board that their calculated rollback rate was 14.458 mills, decreasing from 2017’s 16.12 mill., the final decision lowered the rate by 1.662 over last year. Downs mentioned in the board’s regular session that no citizens have commented on the Rollback Rate this year or the boards advertisement of it over the last month. Continuing along the financial discussions, a bid for two extra buses was approved. Coming from extra funding the state found and spread among school systems, this unexpected item set the board with an opportunity to try a different engine. Originally, Director of Operations Bob Sosebee’s Bid Analysis offered the board the bids for both a diesel engine bus and a gasoline bus. Sosebee said in the meeting that he wanted to offer the board the option of trying gasoline buses instead of diesel with this extra funding as a trend is beginning to see other school systems do similar. Mentioning emissions and testing stresses on the increase, causing a major increase in time spent on repairs, as one point pushing to change, he presented three company’s bids including both engines. the bids include warranty’s on both engines. The system currently runs its entire bus fleet on diesel engines. When asked for his recommendation, Sosebee suggested the board try the gas buses to be able to compare the two types. Ultimately, approval came from the board as they said they would be willing to use these, as the extra funding came in from the state, as a test pair. While continuing to replace and grow the bus fleet, Downs noted the Board is still struggling to find bus drivers. Upon a request, Downs is moving forward of increasing the sign on bonus for new drivers from $500 to $1000. As the board discussed the rise and answers to problem, one suggestion arose that the board may look at possibly considering changing the salary as well. Though no real action came except to notify the board of increasing the sign on bonus, indications lean that we could learn more at next month’s meeting. ELLIJAY,GA – At their May meeting, the Gilmer Board of Education approved an agreement with the Gilmer County EMS to provide two older buses from their fleet. 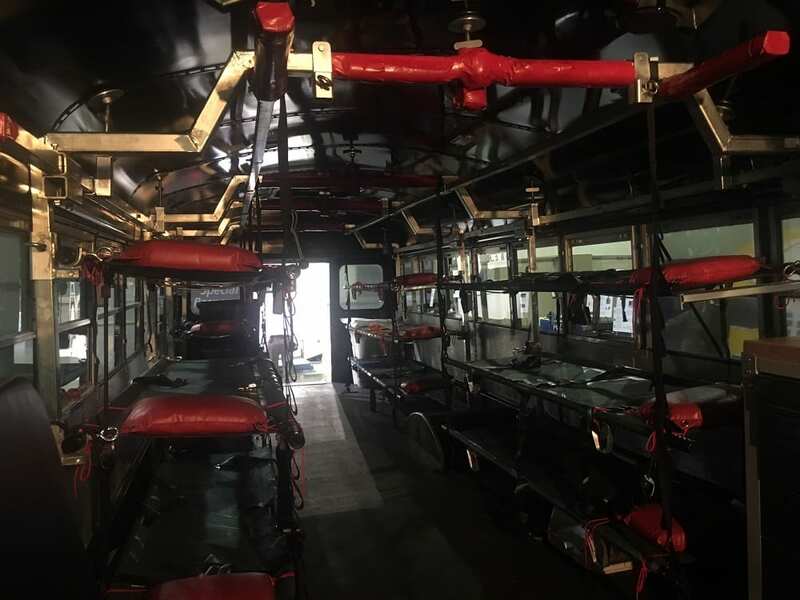 Gilmer EMS provided an example picture of similar Mass Casualty Buses. The buses are to be outfitted as Mass Casualty transport vehicles according to Public Safety Director Tony Pritchett. The process will involve taking out all of the seating and replacing them with medical beds as seen in this photo. Pritchett stated they have already begun talks to receive a grant to retrofit the buses. Each bus will house 12 beds. The capability to transport numerous patients at once will allow the service to respond to events such as the bus crash on Highway 515 where ambulances are not enough. The process is accomplished by ready made conversion kits which they are currently preparing to install. Pritchett did not state a specific time frame for the process, but has already begun discussions on where to house the buses in a central location. However, it is not only Gilmer County that will benefit from this agreement. Until now, the closest county with a similar buses is Floyd County. Now, Gilmer may be called upon in neighboring counties, something that is common for emergency services in need, as we will soon house the two mass casualty buses with the mass casualty truck and equipment. Beginning the process to gain a new resource for Gilmer’s emergency services, Superintendent Dr. Shanna Wilkes and Public Safety Director Tony Pritchett formally signed the agreement during the meeting. On the same night as their first Budget Hearing, the Gilmer County Board of Education seemed to deal a lot with purchases and finances throughout its meeting. Items in equipment as well as educational materials took focus as the Board moves closer to the end of the school year. Although already approved twice, the Board brought up their bus purchase again according to policy for public information. This annual bus purchase was approved as a part of the Budget, as well as a part of the ESPLOST plan. Coming in at $333,828, these buses will arrive at the school fully equipped with their usual specifications as well as Air Conditioning, something the Board began working into all their buses last year. After receiving the OSDA Grant, Gilmer will also be purchasing a new additional freezer for Mountain View Elementary School. The larger walk in freezer received $29,174 in Grant funds. However, the lowest quote Gilmer received for a freezer came in at $37,000. Although approved to purchase, the difference between the Grant funds and actual cost will come from the School Nutrition Budget instead of additional draw off of the General Fund. Maintenance is looking for two new lifts to aid them in their job. Two lifts are being purchased for $26,000 according to the Board. One lift will be a scissor lift providing 26 feet working height for indoor usage to provide maintenance on lights, but also for painting, pressure washing, or anything that might usually require the team to put up scaffolding to accomplish. The other lift purchase is a tow-able aerial lift providing 36 feet working height for outdoor usage for jobs like parking lot lighting. Also approved by the Board is a purchase for new lighting at the school system’s Administrative and Technology Offices for LED lighting. However, this item wasn’t under Purchasing Policy in the agenda. This is because, from the School Board’s point of view, it’s not a purchase as Georgia Power is offering to change the lighting at no initial costs. The Board will remain responsible for the lighting bill, but is estimated to actually save roughly $1200 a year in energy savings due to the new lighting. After a presentation Monday, the Board of Education has approved purchases for a new education system for Math. Origo Math has been in pilot program status within the schools, but will now be purchased for use in Kindergarten through 5th grade. This system received rave reviews from the teachers testing it (Kathy Cobb – Kindergarten at Ellijay Primary / Jessica Gearheart – 3rd Grade at Ellijay Elementary / Hope Henson – 4th Grade at Mountain View) as well as students who our teachers are reporting, “love Origo.”Hope Henson went on to say she has taught for 14 years with 12 years teaching math and has never had a class as advanced and intuitively learning as her current 28 student class, providing an example involving fractions where she only had to teach 8 of the 28 students steps to simplifying fractions. The math system also received an endorsement from Board Member Thomas Ocobock who said his own son’s math skills have drastically improved. Saying its amazing how his son has caught on to math this year, Ocobock has been astounded at the advanced level his own son has achieved. The program is supported by PLC videos, Professional Learning Communities for Teachers, and a newer tool called One-Minute Math Models providing videos providing “light-bulb moments” for students to see how concepts work. The presentation also highlighted a easy way to provide differentiation and extension in classes. This provides opportunities for students who need to go back to an early grade level to reinforce older lessons as well as students who are advancing quicker and are ready to begin a higher grade level study. Thursday’s Meeting also held the Board’s first required Public Meeting for the Annual Operating Budget for FY18. Only one person was present to speak. 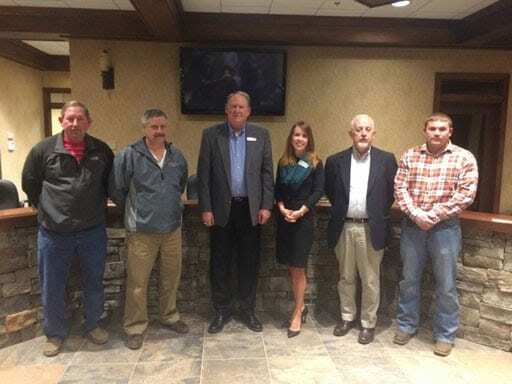 Travis Crouch, Post Commissioner for Gilmer County, was present to renew the Commissioners request that the Board of Education increase its financial support for School Resource Officers from roughly one-third to one-half. Estimating the total costs of the officers at $300,000, Crouch informed the Board this would increase their financial responsibility from $105,000 to $150,000. This was the first Public Meeting, meaning the Budget is still in very early stages. Superintendent Dr. Shanna Wilkes stated 85% of the Budget is Personnel. While they are looking at mandatory increases from State Legislation, such as a possibly a 2% increase to salary for teachers from the Governor, Gilmer is pursuing a “Net 0” change in its personnel. This means that before the mandatory state items. Gilmer is seeking to not change its budgeted personnel costs as it shuffles staff and faces teacher retirements, new staff hiring, and other regular changes. For more financial information from the Board of Education, check out the January Financial Report, the 2010 ESPLOST Report, and the 2015 ESPLOST Report as well as the Purchasing Policy Expenditures previously mentioned in this article. Stay up to date on Policies through the proposed changes in March’s Meetings for First Reading and final approval for those in Second Reading. 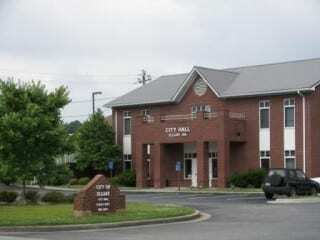 « Previous Article Part 2: Who is Running High Speed Fiber Optic Cable through North GA and Why?